Ghyston is a UK based software development company based in Bristol. SpaceView is a meeting room booking application which can be accessed on a desktop computer and also via a tablet mounted outside meeting rooms. The emphasis on simplicity and usability. 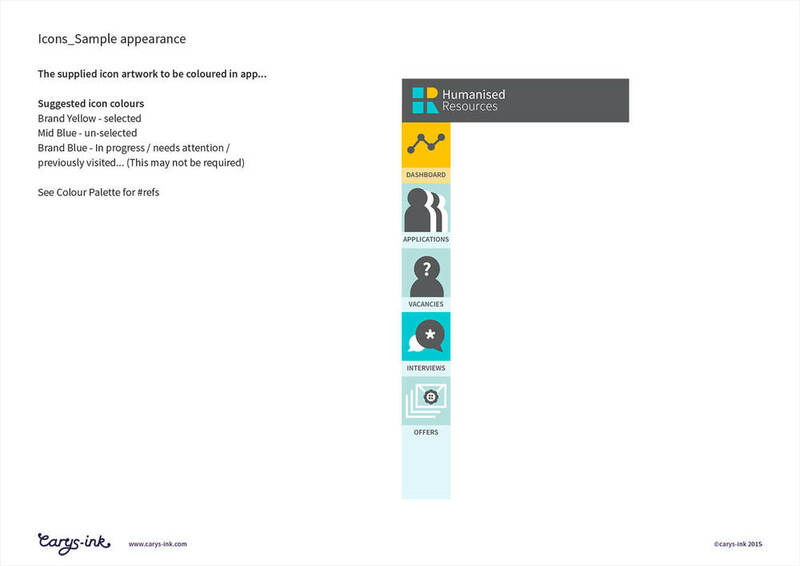 Humanised Resources is a suite of HR products (initially just for recruitment management), again simplicity and usability are key factors. The icon within the Space View logo is intended to evoke the idea of space, of open and closed doors, with red and green denoting available or occupied meeting places. My approach for Humanised Resources was bold simplicity. The simple shapes create the initials HR in the negative space. 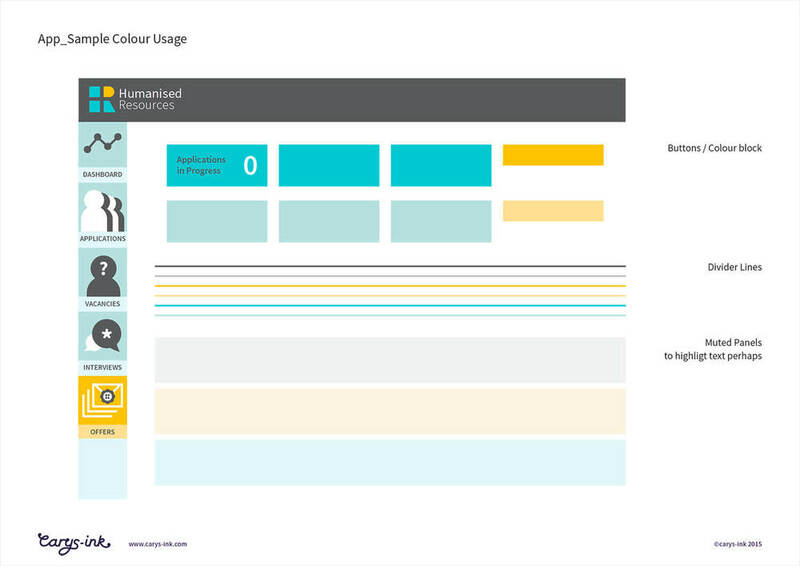 For both projects, colours were selected for legibility and clarity on mobile devices. 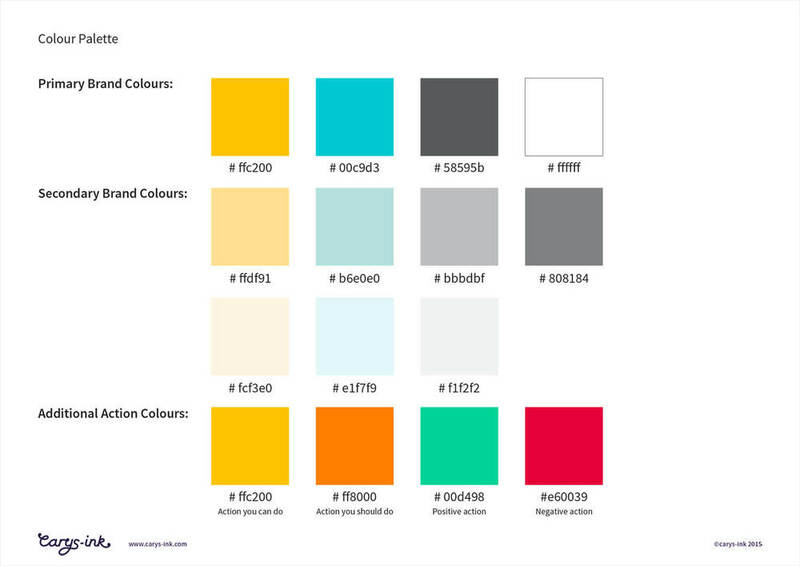 For UX purposes the client requested that each palette should include a red, green and blue, and fonts be limited to readily available Google Fonts.